A pregnancy coach calls her market. Bump2Beyond is a startup health and wellness business supporting mothers through preconception, prenatal, and postpartum phases of pregnancy. 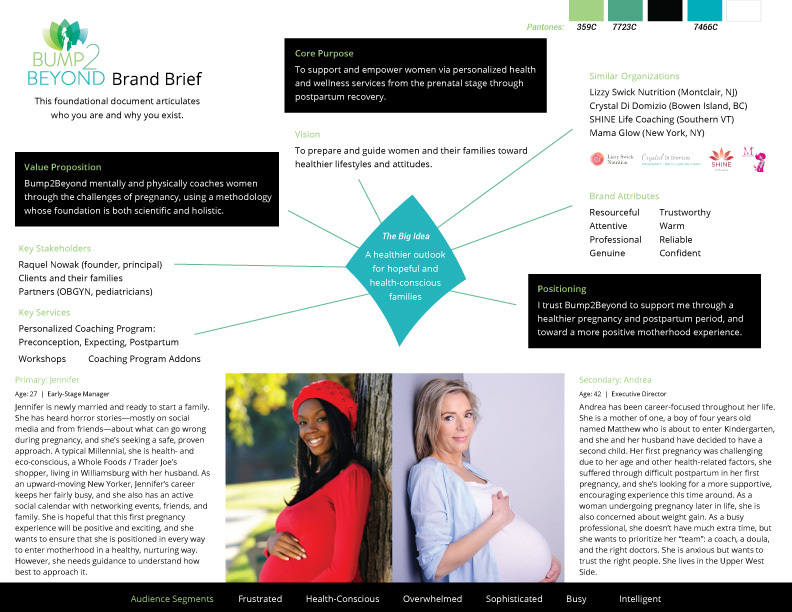 As a health and wellness business model, Bump2Beyond needs to educate women and their families about how the service adds value through coaching, thereby improving the overall pregnancy experience while positioning her clients and their families for a healthier, more balanced lifestyle. As a startup, the owner faces the traditional challenges of gaining market exposure and forming connections with health professionals. 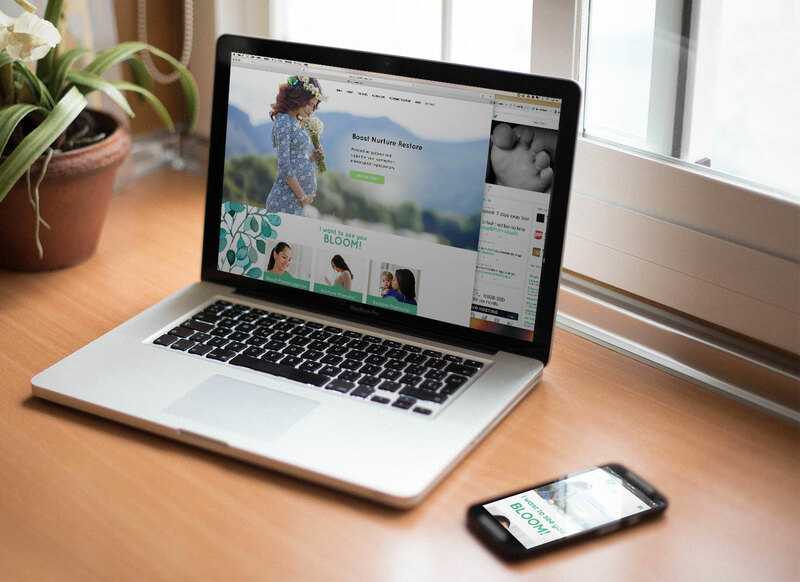 The fully responsive WordPress website exemplifies not just what Bump2Beyond does but how her style of pregnancy coaching adds value to the lives of her ideal clients. The website was integrated with MailChimp campaigns and automation and Workshops integrated with EventBrite. Following website launch, we provided a roadmap to point Bump2Beyond in the right direction for future marketing efforts that included: ways to maximize and expand upon website content via landing pages; strategy for outreach via email and social media; branded template design suggestions; and campaign marketing strategy ideas for events and workshops.